I did a major closet haul last week, and subsequently started a Poshmark closet (you can shop it here -- I plan to add more this weekend). I always love a good closet purge. I'm in the process of unpacking my spring and summer clothes and putting away (with glee) my winter clothes. I'm so ready for spring. 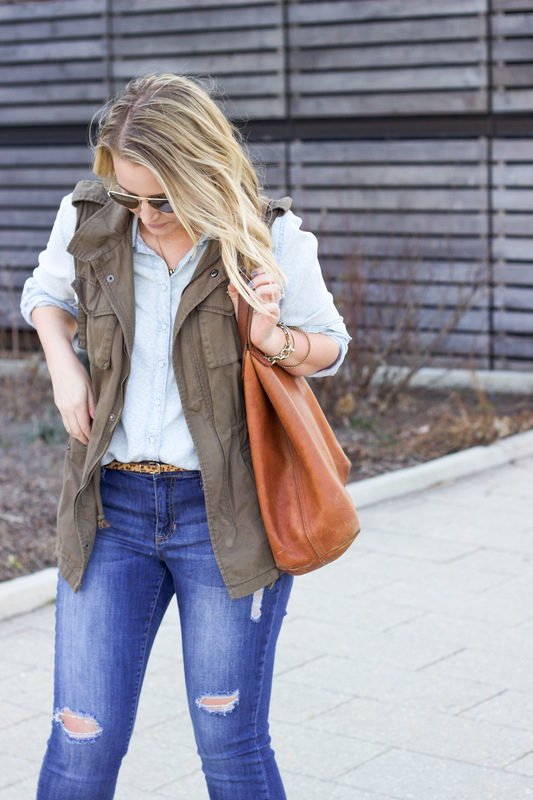 One of my favorite transition pieces is this vest. 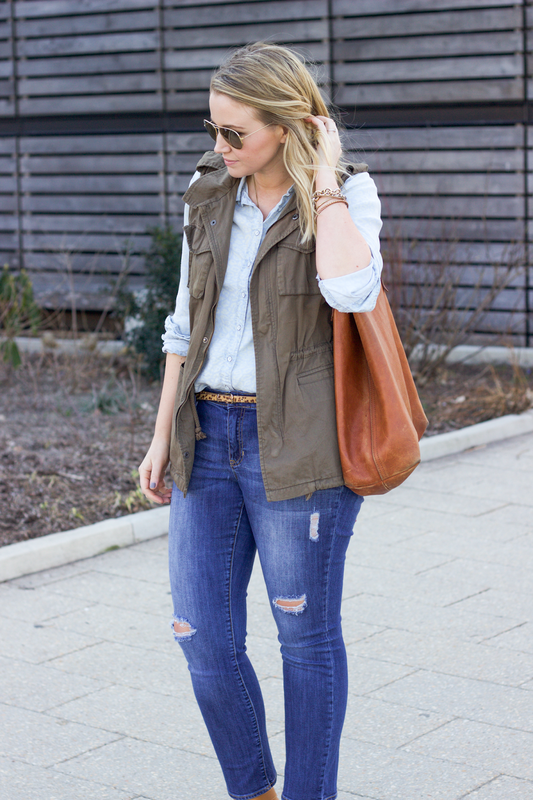 I've written about this vest a few times, and rounded up my favorite ways to wear it here. It's definitely a closet MVP. I also anticipate these wedges becoming a closet MVP. I wore them all day this weekend with only minor blistering and nothing a little friction block can't prevent. I wrote about them here but after wearing them, I can't sing their praises enough. They are padded making them super comfortable and not too chunky. I've hard a really hard time finding wedges that aren't too overbearing but these are a good balance of arch and platform. If you're in the market for wedges this spring, check out this pair. Oh, and did I mention they are only $15? 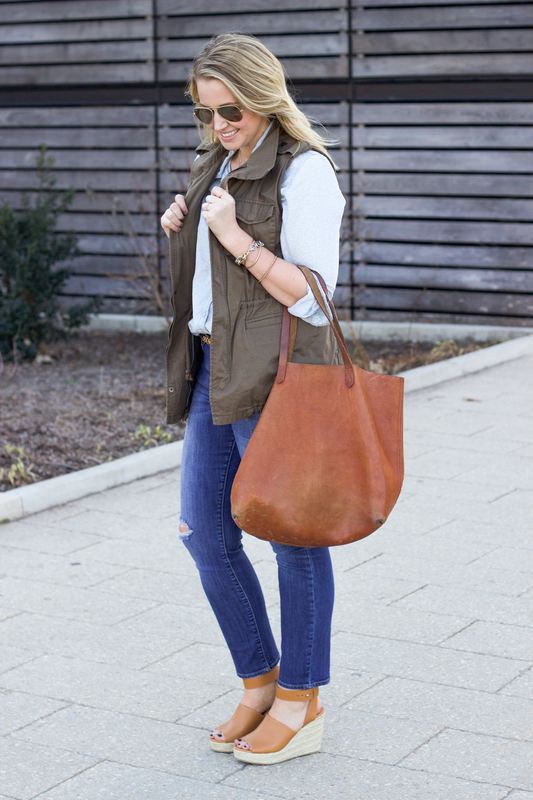 LOVE the shoes – such a great color! !